Florida State University's graduate program in interior design ranks No. 10 in the nation among both public and private institutions, and interior design Professor Lisa Waxman is among the 25 "Most Admired Educators" in the design field, according to the 2012 edition of "America's Best Architecture and Design Schools." Published by top industry journal Design Intelligence, the "Best Architecture and Design Schools" rankings have served for 13 years as the definitive analysis of architecture and design programs nationwide. That analysis includes interviews with the hiring organizations and professionals at hundreds of leading interior design firms across the country, who are asked the question, "In your firm's hiring experience in the past five years, which schools are best preparing students for success in the profession?" This year, the answers to that question have put Florida State on a star-studded Top 10 list of graduate programs in interior design that includes such nationally prominent private institutions as Savannah College of Art and Design, Rhode Island School of Design, Cornell University and Pratt Institute. How does Florida State University manage to offer such a top-notch graduate program that can compete at a national level with well-heeled private institutions? "We strive," said Waxman, "to develop designers who are responsive to human needs, who hold the world's natural resources in high regard, and who design functional as well as beautiful spaces that improve the quality of life." "That Professor Waxman has been ranked among the elite in her field is no surprise to anyone who has worked with her, but that she should be so honored this year is particularly noteworthy because only five of the 25 'Most Admired Educators' are from the interior design field," said Florida State Department of Interior Design chairman Eric Wiedegreen. "The others listed come mostly from architecture and landscape architecture." Waxman served as FSU's director of graduate studies in interior design from 2004 until fall 2011, when she became national president of the Interior Design Educators Council — the leading organization for interior design educators in North America. Her inclusion among design's "Most Admired Educators' places her on a list of "exemplary professionals," according to the rankings publisher. They are 25 of the nation's most admired and innovative educators and education administrators in the fields of architecture, industrial design, landscape architecture and, of course, interior design — the realm in which Waxman has distinguished herself as a designer, teacher, mentor and industry leader at the local, regional and national levels. In recent years, Waxman also has become involved with interior design regulation. Last year, she assisted the state of Florida's Office of the Attorney General in writing a rebuttal to a lawsuit against the existing Florida interior design legislation. Design advocates in other states have used that rebuttal as a reference in their own legislative efforts. Wiedegreen describes Waxman's academic career as one of "carefully constructed interfaces between her teaching, research and service." "Professor Waxman was an early advocate for computer technology in design and put FSU at the forefront of technology acceptance," Wiedegreen said. "She also excels as a mentor to our graduate students, many whom have gone on to become educators. What's more, because she currently sits as the national president of the Interior Design Educators Council, she further extends her reach and influence and, as a result, Florida State's. 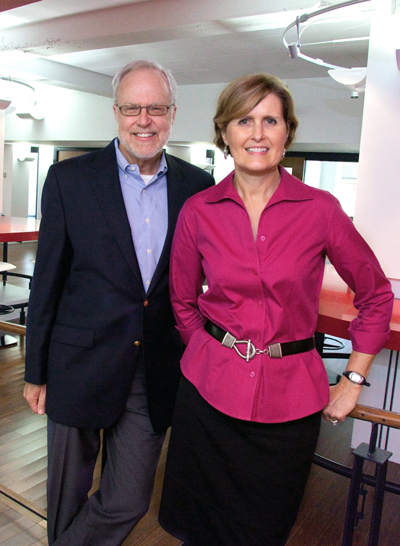 "We have soared in the rankings," he said, "because design faculty such as Lisa Waxman have successfully met the challenges of graduate design education today, giving our students the finest experience possible through excellent leadership and a diverse faculty that focuses on both research and creative scholarship." He also credits the new space in the William Johnston Building, a recently renovated campus facility whose state-of-the-art classrooms and labs may help the interior design program soar even higher. The past five to seven years have been a period of tremendous change and growth for interior design education, Waxman said, and Florida State has been among the change leaders. "Interior spaces are where we spend the bulk of our days," she said. "We know these spaces influence our overall outlook, performance and well-being. The practice of design is constantly evolving, requiring students to be knowledgeable and to know how to research. The profession is seeing an increased need for evidence-based design, which is design decision making that begins with the analysis of current best-evidence practices. "For example," Waxman said, "a study on hospital design showed patients with a view of trees and grass — rather than the building next door — went home faster and required fewer painkillers. Our students both gather existing research and generate their own. They can be valuable to a firm not only as designers but also as researchers. That kind of designer raises the bar for the entire profession." Sustainability is also a big issue for the profession and the world. "There is a huge demand in the marketplace for students who understand how to design sustainably," Waxman said. "The population is growing and resources are being depleted. Efficient buildings with responsible design choices will make a difference in the future health of the planet." Florida State offers a sustainability class, and many of its students go on to become LEED-APs (Leadership in Energy and Environmental Design-Accredited Professionals). The profession of interior design also has grown increasingly and extremely technical. Waxman noted that most FSU interior-design students are competent in four to six software packages and up-to-date on new lighting technologies. Knowledge of health and safety codes is essential, she said, and is required of students on all projects. Florida State offers three different graduate programs in interior design, and students can select the one that best suits their career goals. Waxman points to the MFA program as the most prestigious and well-known for turning out students who can both design and perform research — a "marketable combination," she said. This is the second consecutive year that the interior design department at Florida State has excelled in a total of two ranking categories. For 2011, Design Intelligence ranked the FSU interior design program No. 2 in Sustainable Design Practices and No. 4 in Computer Applications. Visit the Department of Interior Design website to learn more. The department is a key part of the College of Visual Arts, Theatre and Dance, which is led by Dean Sally McRorie. For more information on interior design at Florida State, contact Wiedegreen at (850) 980-4916, (850) 645-2504 or ewiedegr@fsu.edu, or Waxman at (850) 443-0789, (850) 644-8326 or lwaxman@fsu.edu. "Professor Waxman was an early advocate for computer technology in design and put FSU at the forefront of technology acceptance. She also excels as a mentor to our graduate students, many whom have gone on to become educators."